Designed for use with general purpose oscilloscopes. 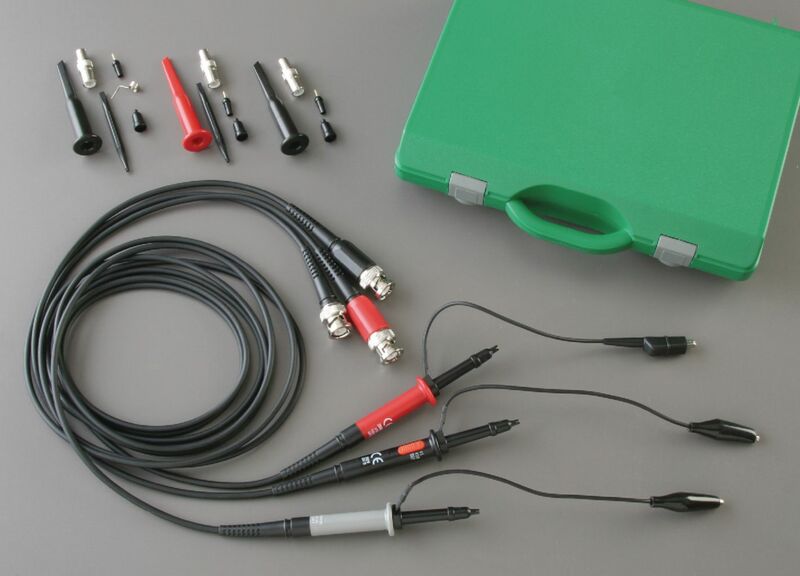 This convenient and cost-effective kit contains three high-performance, passive voltage probes ideal for a wide variety of electronic, electrical, medical, and industrial applications. Choose between a versatile 1X/10X switchable probe, a 1X fixed probe, or a high voltage 100X fixed attenuation probe. All feature low noise figures, durable construction, slim bodies, and unique snap-locking sprung hooks. Packaging: Kit contents are packaged in a plastic carrying case for convenient transport and storage.